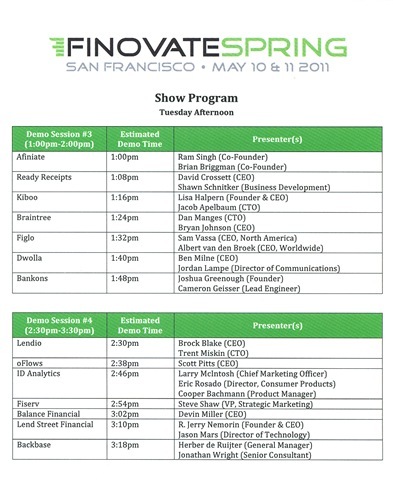 Several weeks ago, I had the opportunity to demo at Finovate Spring 2011. In the past, I have presented at a variety of professional conferences such as Microsoft PDC and IEEE, but preparing and presenting at Finovate was a real eye-opener for me. In addition to actually demoing all of these features, I had to allocate enough time during the presentation to talk about data security, encryption, and authentication, as well as to explain how the real-time analytics and business intelligence engines monitored and interacted with the user. 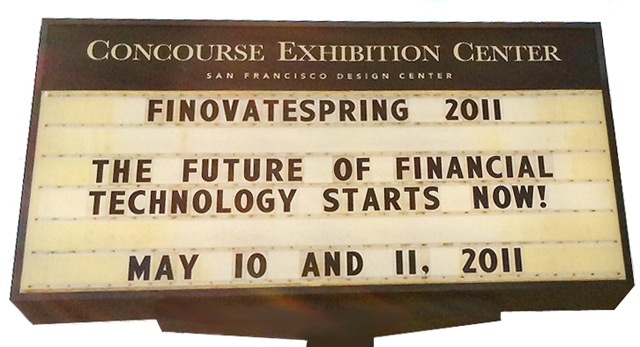 If you’ve never been to Finovate, then you might not know that the demonstrations are attended by the cream of the crop of financial innovators and the banking industry. You can’t pull any wool over their eyes, they’re too savvy; your demo has to be perfect. 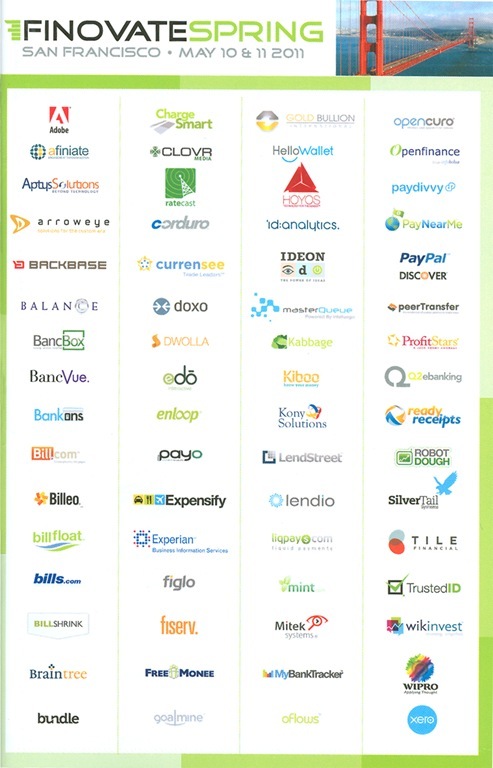 For many Fintech startups, a successful Finovate demo is one of the best ways to get their name around, secure a major strategic partnership, and even get VC funding. 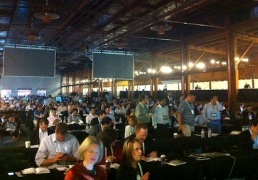 This year, there were over 850 people in the audience; the place was packed. Due to the condensed nature of the conference, each demo was required to be exactly 7 minutes long. When your 7 minutes is up, the bell rings, the lights go off, and you get swiftly kicked off the stage so as to clear room for the next presenter. The whole event is a strange combination of high-tech magic show, circus act, and speed dating. Following the philosophy that there is no such thing as bad press, it’s not unusual to have a presenters accompany their product demo while playing a ukulele solo or performing a juggling act. Knowing how challenging the time and content delivery requirements were, we laid out the demo components eight weeks before the presentation and then on a daily basis, we spent an hour practicing it in front of our peers. As the rehearsals progressed, we improved our timing, streamlined the script, and tweaked the presentation to make it more concise. The day before the conference, we arrived to the presentation hall the and got on stage for the final dress rehearsal and to test the AV equipment and connectivity. The next day, thirty minutes before our 1:16 PM demo, we arrived backstage to gear up. I again checked all connectivity and verified that I was still on the network. It didn’t occur to me to check what wireless network I was actually connected to. 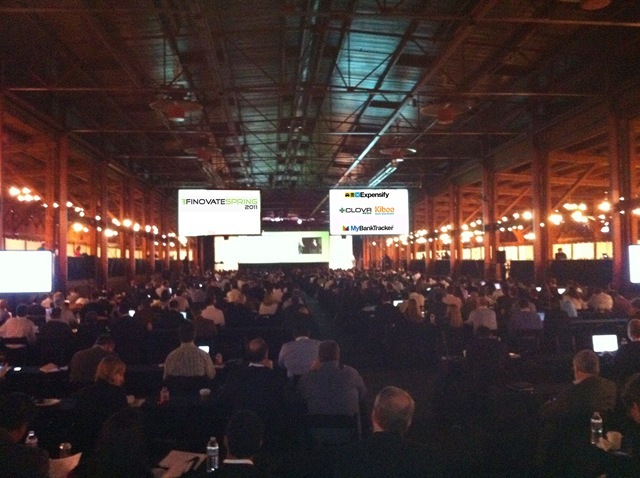 After handing-in all of our equipment to the Finovate staff, we just stayed backstage and watched the presenters go at it. It turned out to be a blood bath. One company demoing an iPhone version of their browser app was doing great until they tried to actually login from the device (using 3G). After 30 seconds of failed attempts they made the strategic decision to continue without the mobile app and instead they narrated what the app was supposed to do. Another company demoing their revolutionary banking web portal (using a laptop with a 3G USB wireless network card) also went up in smoke as they soon discovered that they couldn’t login into their own site. Their CTO, in an attempt to save the day (still apparently thinking it was some kind of misconfiguration issue), tried to reconfigure the proxy settings on his laptop, forgetting that he was sharing his screen with 850 people. The audience got treated to his administrative user ID, password, and firewall settings. This went on and on. One after another, the 3Gers went down like flies. Almost every iPhone app demo using 3G ended up with some critical connectivity problem. Then, it was our turn. I got on stage, and instinctively looked at the wireless network one more time. To my horror I noticed that I had almost no reception and that my laptop was strangely connected to a network called “Coffee House”. “Strange,” I thought to myself, “why would Finovate name their network “Coffee House?” It took me another few seconds to realize that I was connected to the wrong network. Next, I looked at the demo phone but it was still connected to the “Finovate” network. You can’t run a demo with only fifty percent connectivity! As the announcer was introducing us, I noticed a LAN cable on the podium, figuring that at that point I had nothing to lose, I plugged the LAN cable into my laptop and quickly launched the browser. After what seemed like an eternity and just as my partner began the presentation, the home page loaded. What a close call!